Did you know lung cancer is the number one cause of cancer death in the United States? Yet November is the only month of the year dedicated to raising awareness about the second most common cancer in men and women. As this year’s Lung Cancer Awareness Month wraps up, we ask you to think about the thousands of people living with lung cancer right now. According to the American Lung Association, approximately 415,000 people in the U.S. living today were diagnosed with lung cancer at some point in their lives. That’s 415,000 people with families, friends and people who love them. It has never been more important to raise awareness about lung cancer, but it can’t end today. Every single day, we must be committed to increasing education, raising funds and finding a cure for lung cancer. For far too long, a lung cancer diagnosis left patients with limited options and a difficult prognosis. These days, when a patient is diagnosed with lung cancer, they can still have hope. Survivors are also living longer than before. Throughout November, people and organizations around the world began raising awareness about lung cancer, but this initiative shouldn’t stop because we’ve reached the end of the month. The Mesothelioma Center contacted mesothelioma specialists who are constantly changing the lives of those living with the disease and asbestos-caused lung cancer by offering innovative treatment options and high quality care. We asked them one key question: How can everyday people help raise awareness about lung cancer? People should be aware of the dangers of smoking. If they are currently smoking, they should seek aides to assist with stopping smoking. The public should also be aware of new symptoms that could be an indication of lung cancer such as unexplained weight loss, cough, shortness of breath and/or coughing up blood. A great program for previous or active smokers to get involved with is the low dose lung cancer screening program. A person must be 55-80 years old with a smoking history of 30 packs a year or greater, either actively smoking or have quit in the past 15 years and does not have any symptoms of lung cancer. Previously, smokers were traditionally the majority of people diagnosed with lung cancer, but recently, there has been an observation of an increasing number of young ladies who do not smoke, yet are being diagnosed with lung cancer. In addition, exposure to asbestos increases the chances of lung cancer. 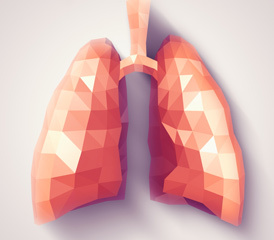 Detecting lung cancer early on can give patients a lot better chance of long-term survival. Lung cancer screenings can make a positive impact on patients when the tool is utilized. As a result, it’s important for Medicare and any other possible insurers to provide lung cancer screenings for patients. Lung cancer is the second most common cancer in both men and women in the United States. And despite all the advances in treatments, lung cancer claims the lives of more men and women than breast cancer, prostate cancer and colon cancer combined. And the reason for this is that most patients with lung cancer are diagnosed too late. The majority of patients with early lung cancer who are curable have absolutely no symptoms. Their small cancers are silent and are picked up on CAT scans performed for other reasons. For this reason, it is important for people to ask their doctors about screening programs, such as getting a CAT scan, to detect the cancers early and before they develop symptoms. It is also important to note that 50 percent of patients with lung cancer have already quit smoking and another 20 percent of patients have never touched a cigarette in their lives. This year, we promise to remain active in the lung cancer community. By continuing to create content dedicated to asbestos-related lung cancer, we can improve the understanding of this terrible disease. Another great way to be involved in the lung cancer community is through Twitter chats. Every other Thursday at 8 PM ET, the #LCSM chat, which stands for Lung Cancer Social Media chat, takes place as an opportunity to connect with other lung cancer survivors, caregivers and advocates. The next chat is scheduled Thursday. There is no better time to spread the word about lung cancer: Share lung cancer facts with friends and family, join the conversation on social media or contact your state legislators to ask them to make lung cancer a priority. Cara is a childhood cancer survivor, daughter of a long-term breast cancer survivor, and she knows life as a caregiver. She is also a member of the American Lung Association's LUNG FORCE leadership committee, a repeat team captain for the American Cancer Society's Relay For Life and has the Social for Health Care Certification from Mayo Clinic and Hootsuite. Cara also frequently writes for HuffPost.